POSTED February 5, 2019 4:40 p.m. The children of Michael and Sheila (Sutton) Bradford announce their parents’ 40th wedding anniversary. 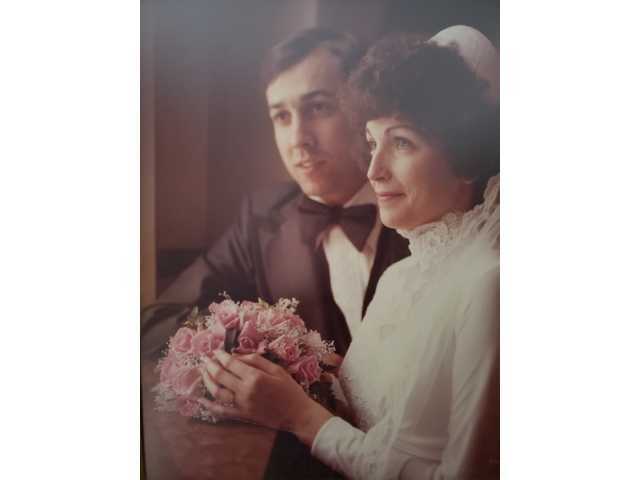 The couple was married on February 10, 1979, at St. Mary of the Assumption Catholic Church in Richland Center. Mike and Sheila have seven children: Elizabeth (William) Roberts of London, England; Katherine (Dan) Murray of Milwaukee; Angela (Joe) Gryzbek of Wheaton, Illinois; Stephen Bradford of Milwaukee; Christine Bradford or Milwaukee; Daniel Bradford of Milwaukee; and David Bradford of Richland Center; and six grandchildren: James, Emily and Mary Claire Murray; Eve and Margot Roberts; and Jane Gryzbek. Mike and Sheila will celebrate their anniversary with many of their children and grandchildren in Richland Center on Sunday, February 10.